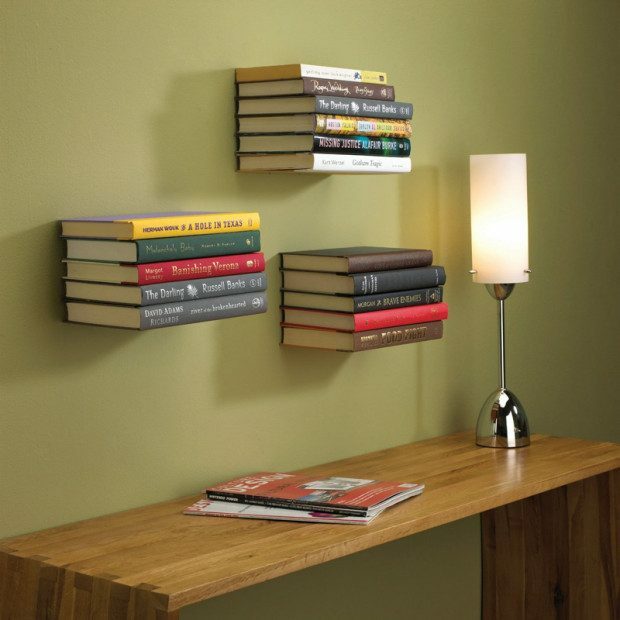 Floating Bookshelf Only $9.99 + FREE Shipping! You are here: Home / Great Deals / Floating Bookshelf Only $9.99 + FREE Shipping! Need more storage? Go vertical! For an ultra-minimal look, The Magical Floating Bookshelf mounts to the wall and becomes invisible behind a stack of books, giving the books the appearance of floating in mid-air! Get the Floating Bookshelf for Only $9.99 + FREE Shipping! Stack up to 15-pounds of medium to large books (or whatever you’d like on the shelf) on top of the first book until the shelf is obscured from view!